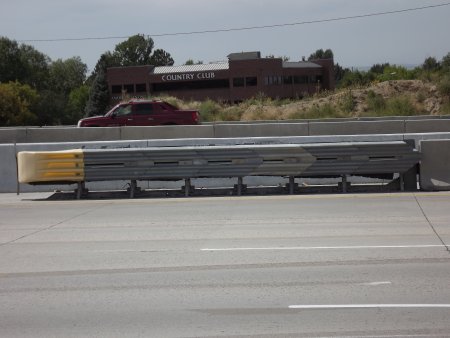 Temporary impact attenuators are one of the best ways to protect the motoring public from the blunt end concrete barrier as well as hazards like overhead sign structures, bridge abutments and piers and toll booths. Temporary mechanical attenuators can be used where an attenuator with a narrow footprint is required. Temporary traffic impact attenuators can be used in both re-directive and non-redirective applications, making them a versatile solution to many companies needs. When impacted from the side, a temporary impact attenuator redirects the errant vehicle back toward its original travel path without allowing gating and can be used in both permanent applications as well as in a work zone as temporary barriers. Temporary mechanical attenuators are anchored to the ground and the hazard to ensure proper safety standards are adhered to. Temporary mechanical attenuators will require a level concrete or asphalt pad to be properly installed for use. All Rocky Mountain Signing attenuators meet the current NCHRP-350 test levels 2 & 3. 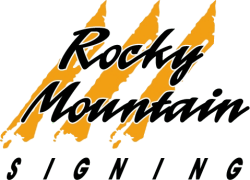 Rocky Mountain Signing can supply, install, repair and remove your temporary and permanent attenuators.